How Long Will It Take to Resolve A Slip and Fall Case? If you’ve been injured in a slip and fall accident, you may be wondering how long it will take to resolve a slip and fall case. 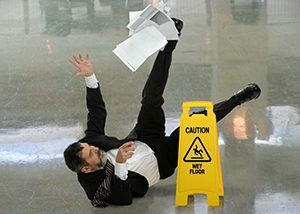 A slip and fall case depends on a number of factors. Settling a case can take months or even years to resolve. Like other personal injury lawsuits, slip and fall cases go through a number of stages. The following is a typical timeline for a slip and fall settlement. After hiring Parke Gordon Law Firm, your attorney will file the initial complaint explaining the nature of your claim. The state in which the accident took place will determine how much detail needs to be included in the complaint. Some states require a factual summary; others require only contain enough information to place the defendant on notice of the plaintiff’s claim. Typically, a complaint will state the following. An estimated amount of what you expect the responsible party to pay for their negligence. Your complaint must be filed with the court where you will bring your lawsuit and you must serve it along with a summons to the party you will be suing. Within the summons will be an order to the defendant to file a response to the served Complaint within a time limit (usually 20 days). Your defendant’s response or answer to your complaint should contain nearly the same detail as your complaint. Typically, the defendant’s answer is only required to admit or deny each allegation in the complaint. 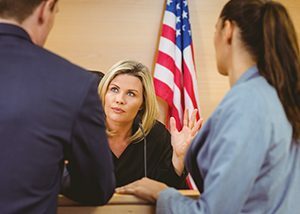 If the defendant feels there is not enough information to admit or deny a particular allegation, that must be stated in the answer. An answer typically will also contain “affirmative defenses.” Affirmative defenses are legal doctrines that can reduce the defendant’s liability. However, the defendant will still need to prove that they are not liable. 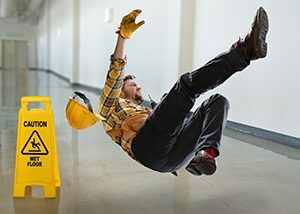 The discovery phase of a slip and fall lawsuit is time for all parties involved to learn as much as they can about the case. Interrogation, investigations and requests for production are done during this time. The discovery phase can take a few months or even years depending on the complexity of the case. Frequently, your attorney will attempt to resolve your case without a trial. Two common approaches to do this are mediation and settlement conferences. A mediation is arranged by the parties on their own. A settlement conference is usually ordered by the court and conducted by your judge. Typically, a mediation or settlement conference will take place near the end of the discovery phase. However, if there is little dispute about your slip and fall case, a settlement could happen early on in your case. Sometimes mediation is only needed to reach a middle ground for how much a claim is worth. If you’ve been injured in a slip and fall accident, don’t wait to hire a lawyer. The experienced, knowledgeable and aggressive attorneys of Parke Gordon Law Firm are here to help take the stress out of your case. Call our Eugene law office now for a free consultation at (541) 485-4878. We can usually tell you over the phone if you have a good case.